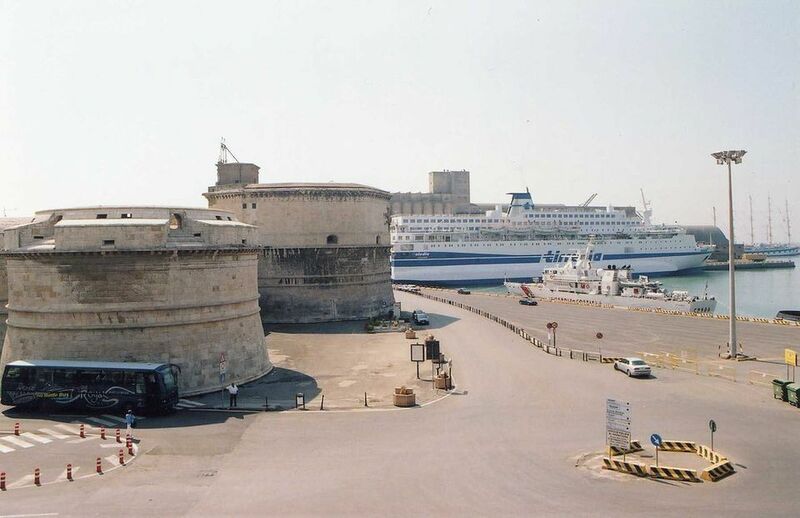 If you're taking a ferry or cruise ship to or from Civitavecchia, the port of Rome, you may find it more convenient to spend the night in Civitavecchia. Here is a selection of well-rated hotels on TripAdvisor, a site that helps you find the best hotel prices. The Miramare is a 3-star hotel in a historic building on the main promenade near the harbor. The hotel has 12 rooms with sea views, a pizzeria on the ground floor, bar, internet and access for disabled guests. Borgo del Mare is a 4-star hotel near the sea, 2 kilometers from the city center and 2.5 kilometers from the port. The hotel has an American bar, restaurant, wireless internet and parking. Junior suites on the ground floor have a private patio and some rooms have views. A cruise ship terminal shuttle is available on request. Hotel Traghetto is a 3-star hotel near the cruise port. It offers free parking, wireless internet and a bar. Shuttle service can be arranged by the hotel. Traiano is a modern 3-star hotel one kilometer from the train station and 1.3 km from the harbor. The hotel has double rooms, suites and grand suites that can accommodate up to five people. Rooms are sound-proofed and have internet access and air-conditioning. Bicycles are available for rent and the hotel has a rooftop terrace, bar and parking. There is a shuttle to the cruise ship terminal. Villa Susanna is in the heart of Civitavecchia near the train station and beach. It offers single, double and twin guest rooms with bathroom outside the room or double rooms with ensuite bathroom. There's wireless internet, parking and a shared kitchen. Even though it's called a B&B, breakfast is not included but can be had at the cafe next door. Payment is by cash only. De La Ville is a 3-star hotel in a historic building with a sea view near the train station and ferry departure port. The hotel has a restaurant, bar and parking garage. Rooms have air conditioning and internet access. Rooms for disabled guests are available and the hotel accepts pets. Tenuta dell'Argento is a country house with 15 rooms, 3 kilometers from Civitavecchia. There's an outdoor swimming pool, sun terrace, restaurant and lounge with fireplace. The hotel provides shuttle service to the port. Horseback riding, hiking and mountain biking are available.